Ok I might be accused of overstating an event or service every now and then, which isn’t a bad thing really. In my defence I’m a passionate guy. During this long cold day I needed to quench a need to see how well (or not) my website was doing, in regard to Google Rankings etc., and what I found was a GOLD MINE of SEO madness, exquisitely so. The site is called SEO Site Check Up and it does just that. Now suddenly when you arrive you’ll notice 42 (forty two) different sensational SEO Tools to blow your mind. Nothing special you say, except they’re FREE! Now I don’t know if you’re the type to examine the fine print, so remarkably speaking, some of these tools are amazingly very expensive when promoted as an SEO Company set of services. Not here tho. That’s what makes the entire experience soooo effective. These TOOLS, when read, understood & implemented will make an improvement on your sites rankings, not saying your site will jump straight to number 1 for Google search, you can however trust that your site WILL be a more search potent presence for your business key phrases. Here’s a teaser for you for now. Have you ever had Broken Links on your website? Not sure if you have any broken links? Ok then, try this tool from SEO Site Check Up … they say …. Cheers for the post. I used these guys before and they are both diligent & seemingly spot on with their reporting. I also tried these guys and found them full of it. Always taking way too long to fire any support over when the system broke down. Not impressed as you are, that’s for sure. 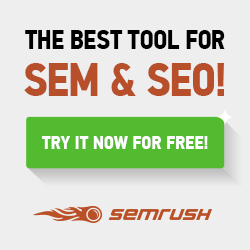 It’s free, easy and fast on page seo analyzer. You can check your content, internal-external links, URL vulnarability in a 5-7 seconds without any required registration. Check your experience about using it. Oh I love these tools; I’ve had them bookmarked and have been using them for almost as long as I’ve been making websites and doing SEO. That page is one of the things I recommend to pretty much everyone (along with Scrapebox).